– Janet – Helen as Rx’d! – Monique – Christine as Rx’d! – Shelley – Kip Up! – Jodi – 10 Consecutive Pull Ups! – Annette – 15 Consecutive Pull Ups! 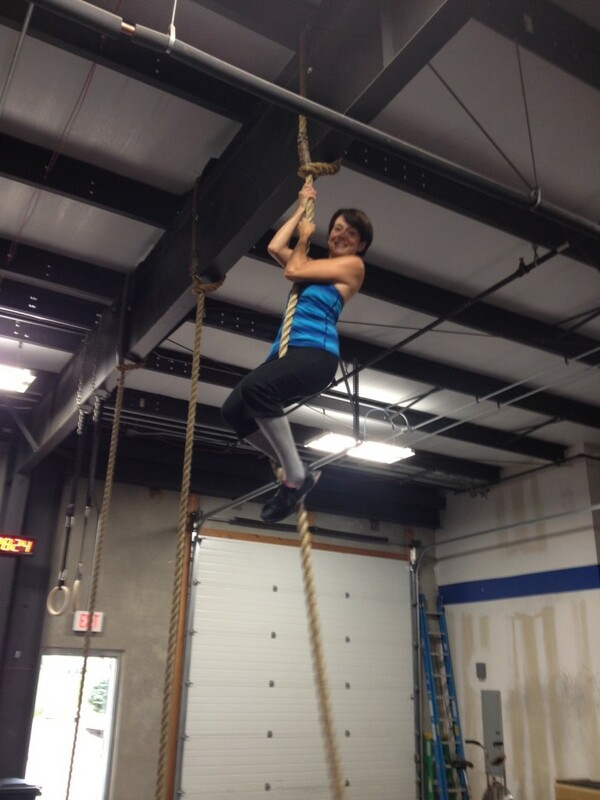 – Julie – 1st Rope Climb!! Crossfit Open 11.5 20AMRAP, 5 Power cleans 100#, 10ttb, 15 wallballs – 6rds + 5 power cleans. I liked this one. Definitely added to my list of things to do after the bebe.